All pictures included on this page and any related pages are licensed under a Creative Commons License. 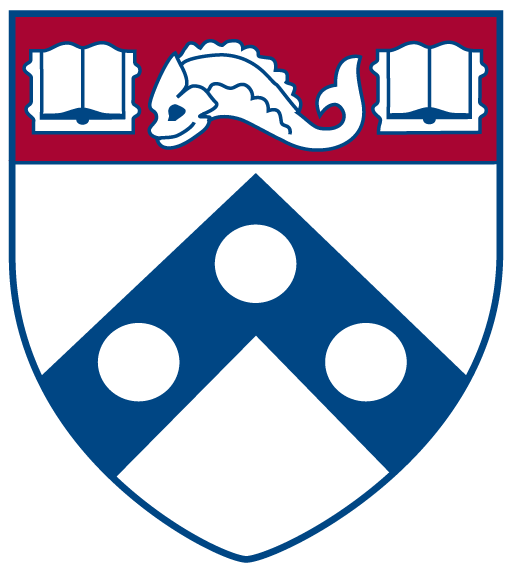 The pictures can be used only with attribution and for noncommercial purposes. 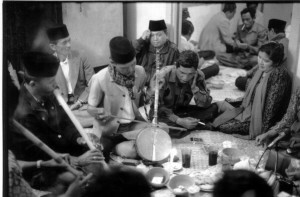 The tradition of arts in the Minangkabau community is very diverse. Culturally, the art traditions of the Minangkabau are divided into two major regions, that being the inland and the coastal areas. In both regions art grows and develops into a variety of forms with different characters. 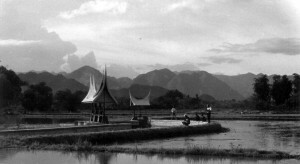 In the interior, which is the traditional settlement of the Minangkabau people, art forms such as randai, saluang (flute) music, talempong, tari piring (the saucer dance), and others have developed. This art is influenced by agrarian cultural traditions which are the basis of the Minangkabau community. 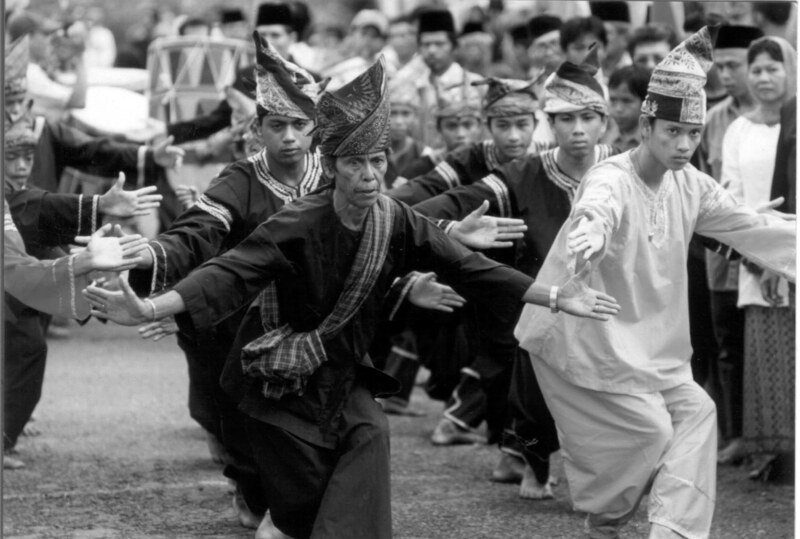 On the other hand, along the coast, which is referred to as abroad, art forms like the rebab, gamat music and the indang dance developed with the influence of Islamic culture. The art of the coastal region, because of the interaction with other cultures in Asia or the West, is more dynamic in character and progresses remarkably. 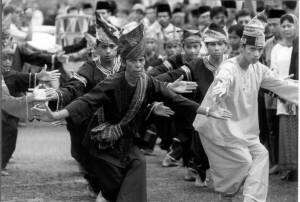 However, all forms of Minangkabau art can be categorized as folk culture. 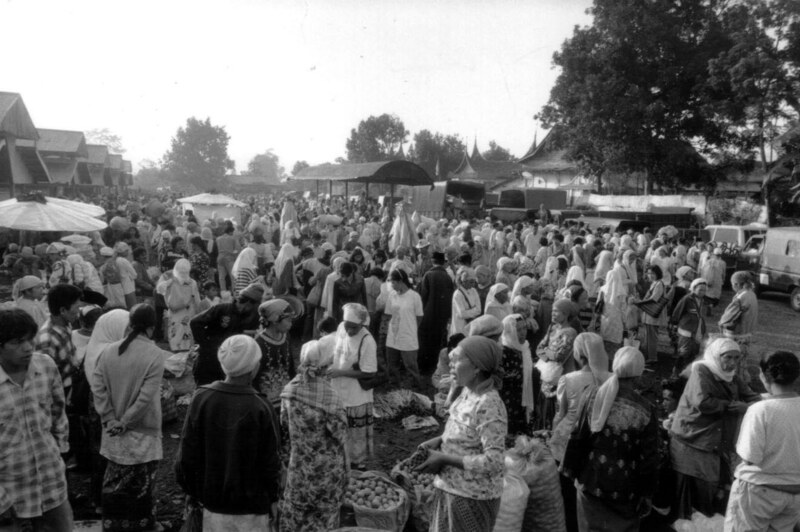 They are developed based on participation and solidarity, which has become a unique characteristic of the Minangkabau matrilineal system. Conceptually, the art of Minangkabau is an integral piece of Minangkabau culture, reflecting the value and social systems to which they conform. Minangkabau culture holds the values of democracy and openness in high esteem, which is strongly reflected in the forms and patterns of their performing arts. There is much interaction between the performers and their audience, and they influence each other at various times. Almost no barriers exist between the performers and audience. 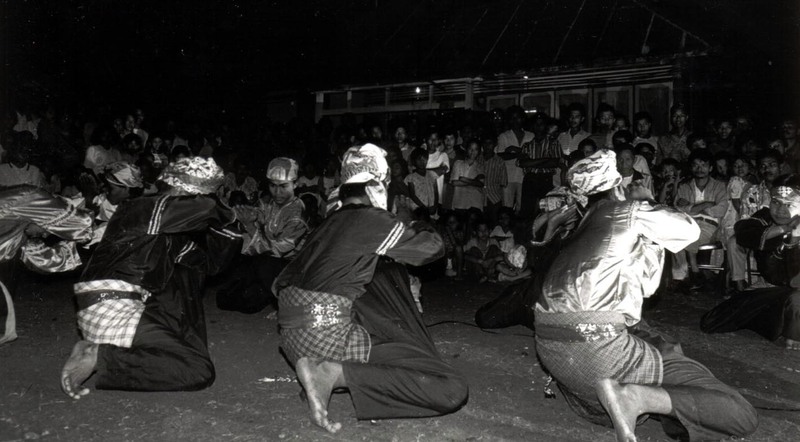 Due to the connection between the performers and the audience, many Minangkabau art performances are done in a circular shape. 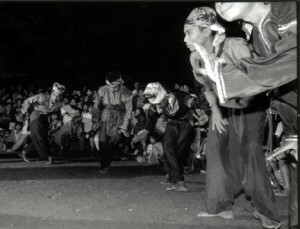 In the randai performance, Minangkabau folk theater, and also in Ulu Ambek martial arts, the circular shape is always used. 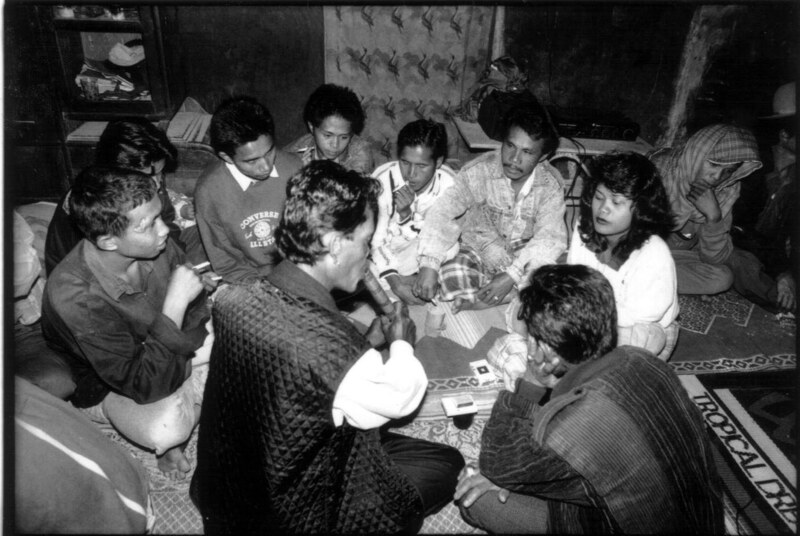 Although in other art forms, such as tari piring, saluang and dendang music, the circular pattern is not explicitly used, the basic configuration of tari piring still refers to the circle. In saluang and dendang music performances, referred to as bagurau, the structure and pattern of the performance is built around the concept of familiarity, and strengthened by the musicians and audience sitting together. The communicative interaction and circular pattern of Minangkabau performing art forms are both a reflection of the social and value systems as well as the spirit of Minangkabau culture, which is transparent, dynamic and democratic. 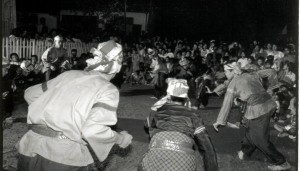 The circle in the performing art of randai is an example of the Minangkabau cultural spirit that reflects a sense of belonging, equality and desire to create a communicative connection between the randai performers and the audience. In the Minangkabau randai performance, it is explicit that there is neither rank nor social status differentiation amongst the audience. They intermingle freely and can sit wherever they like to see the performance. The circle used as a standard pattern in the randai performance has created a communicative space, which is interactive and democratic. 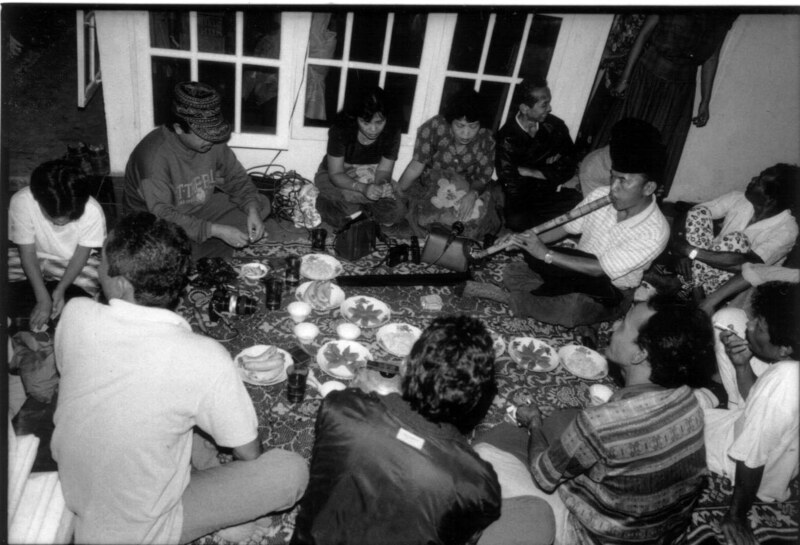 Randai as Minangkabau folk theater grows and develops through a dynamic process with other cultural traditions in the Minangkabau community and is influenced by performing art traditions from outside of the region. Based on varied sources, randai originally evolved from a tradition in surau. Surau is an important cultural institution in traditional Minangkabau culture. A surau is a place where Minangkabau boys stay from their teen years until they marry. They are not allowed to sleep in their mother’s house, since that house is only for female members of the family. In this surau Minangkabau boys learn about many aspects of Minangkabau culture, such as martial arts, oral narrative, Quran recital, and other important things in life. From learning martial arts in sasaran (a place specific for silat practice) and oral narrative, which is important in Minangkabau culture that has a strong oral tradition, randai evolved into a performing art form. The pattern of martial arts practice, oral narrative and Quran recital that use a circular form inspire the formation of the same circular form in the randai performance. 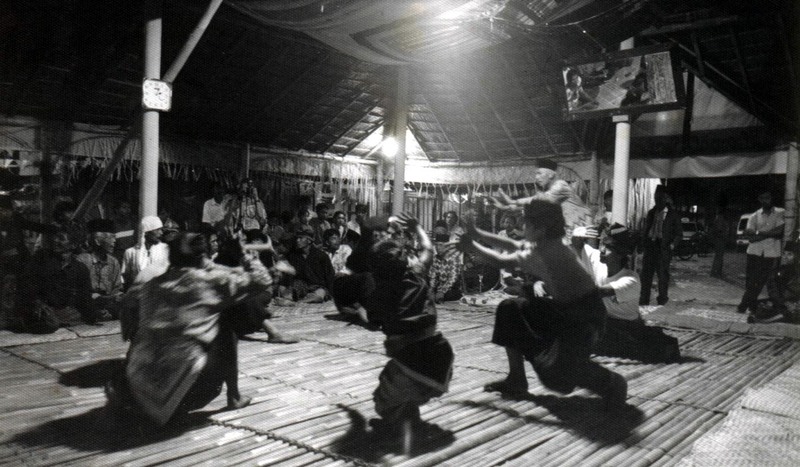 With the introduction of a theatrical performing art called sandiwara to the Minangkabau people in the beginning of the 20th century, randai, which originally consisted of dancing (bagalombang) and singing (bagurindam) with music, became the performing art form as we know it. 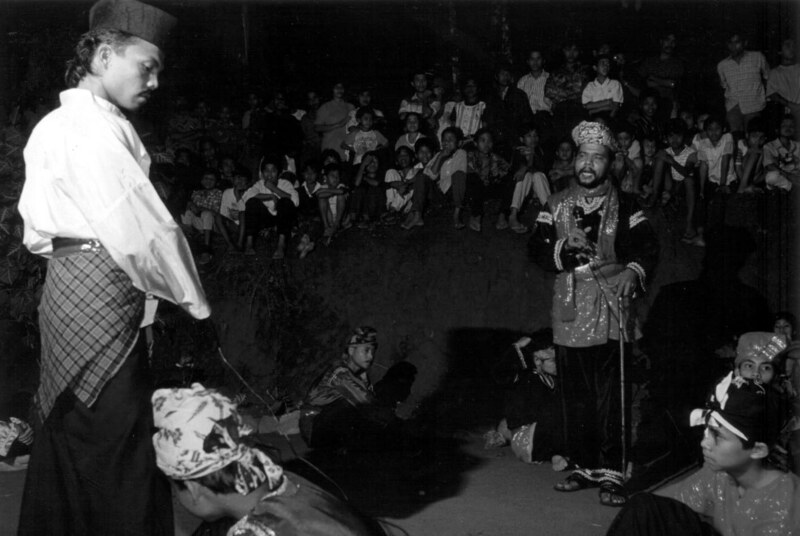 The richness of the Minangkabau oral tradition has since evolved into tales for the randai performance. The principle of Minangkabau culture which views change as a natural process, as expressed in the ancient proverb: “once the water swells, the bank is altered”, randai has also changed in aspects of movement, story lines, songs, and in other theatrical elements. Notably, the circular pattern has been maintained as an important concept in the performance. The circle in randai, as in other Minangkabau art forms, can be seen as a manifestation of the cultural desire of the Minangkabau people to extend the spirit of equality and democracy through the interactive performance. The circular pattern is one effective way to express that desire.